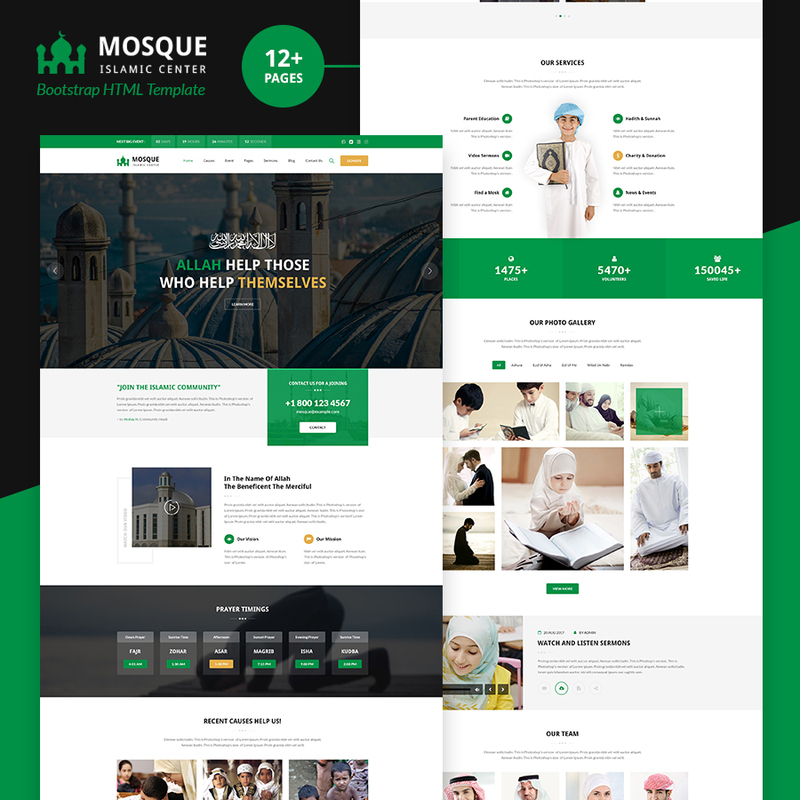 Mosque – Islamic Center Bootstrap HTML Template. Islamic HTML Template is a very clean and modern designed HTML template for nonprofit multi-purpose themes .It is the most complete solution for your Islamic website as it covers every aspect of an Islamic site. Islamic Center Spread knowledge with respect and love, we are giving you best theme to manage events, causes, sermons blogs and donations in Islamic Center.